Many people think that a project manager should have planning and organizational skills and the ability to track metrics. In short, a project leader must possess hard skills. But to be successful, project managers need more than that. They need to have Emotional Intelligence (EI) to be good leaders. The word “Emotional Intelligence” came up in 1990 with Peter Salovey and John Mayer. They defined EI as “the ability to monitor one’s own and other’s feelings and emotions, to discriminate among them, and use this information to guide one’s thinking and action.” Daniel Goleman expanded this concept with an emotional intelligence competencies and skills model for better leadership performance. Before you can understand others, you need to be aware of your own feelings. You have to know your strengths and weaknesses as well as your personal values and life goals. If you understand your feelings and their impact on others, it will help you make better decisions. Most of the time it is impossible to control our emotions, particularly in high-pressure situations. However, it is possible to steer them into another direction. Negative emotions, such as anger for example, are often counterproductive. It is important that this does not mean that feelings should be suppressed, but only that you should not focus on disruptive emotions, but transform them into positive emotions. Self-motivation is important to reach your goals and it will motivate others to follow your lead. However, you should not only be motivated for economical or prestige reasons, but for achievement’s sake. Leaders with a high emotional quotient (EQ) are highly motivated which means that they won’t let setbacks demotivate them. Empathy is the skill to recognize and understand other people’s feelings. When you can relate to another person’s emotions, you can better react to them and adapt your own emotions to accommodate them more. Interpersonal skills are essential for successful communication. People with better social skills will be able to empathize and communicate with others better. We live in a globalized world which means that we have to deal with people from different cultures with different values. This means that we need to be socially aware to be able to deal with cultural differences properly. It is also a helpful skill for influencing others in order to reach desired outcomes, not through manipulation, but because of mutual respect and trust. All these skills are necessary for any kind of leader, but it is essential have them if you want to be a good project manager. 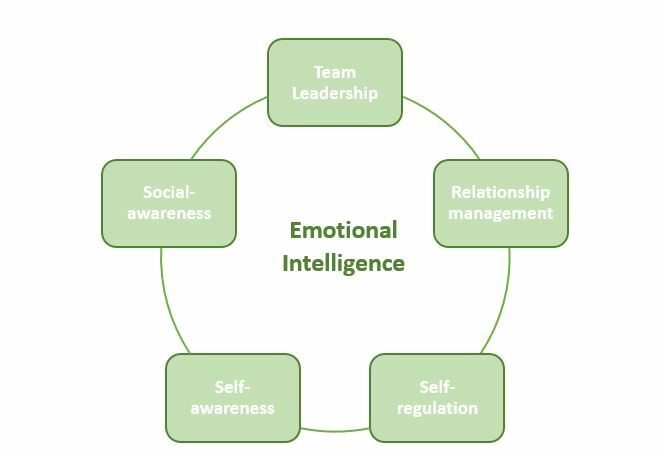 There are many reasons why project managers need to have emotional intelligence, e.g. they need to collaborate and communicate with many different stakeholders and need to build effective teams who need a leader they can trust in order to deliver satisfactory results. Anthony Mersino adapted Goleman’s EI model specifically for project managers and focused on the most important competencies for project management. His definition of EI is a bit more pragmatic in that he says that by knowing your own and other’s emotions you will be able to deliver a better performance. Mersino included the area of “team leadership” to the model. Good project leaders are aware of their own emotions. This can help them judge whether this emotion is beneficial to dealing with a particular situation or not. The ability to empathize with others and being able to not only understand verbal, but also non-verbal cues and body language can be a deciding factor in a negotiation with stakeholder, e.g. when asking for approval for a project. 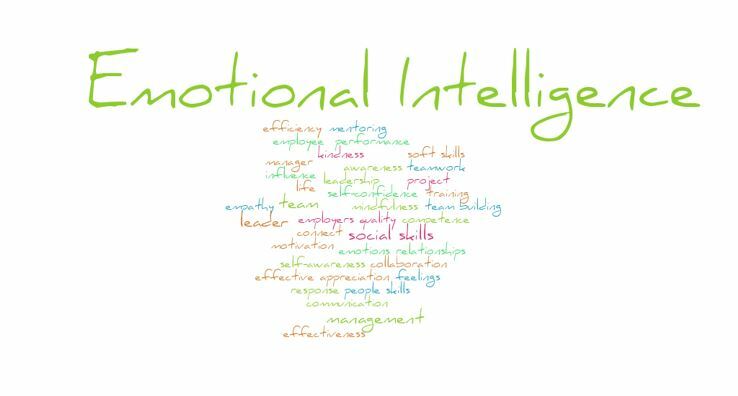 Emotional Intelligence is Key for a Project Manager - InLoox • Copyright 1999-2019 © InLoox, Inc. All rights reserved.